Items 211- out of displayed. The EURUSD spiked lower earlier, but now reversing from 1.3420/1.3440 lows where we highlighted Fibonacci support levels yesterday in our past updates. Pair is recovering after better than expected German PMI figures. 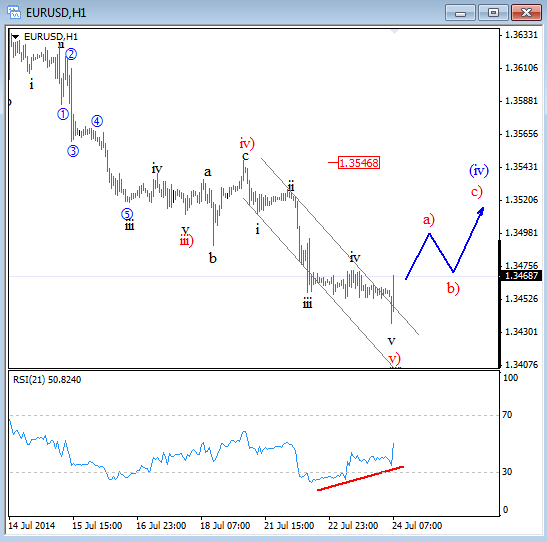 Based on the price action we see EURUSD is likely going to reach even higher in sessions ahead, as we are looking for a three wave retracement back in wave (iv) that may rally back to 1.3530/1.3550 zone, to former wave (iv). 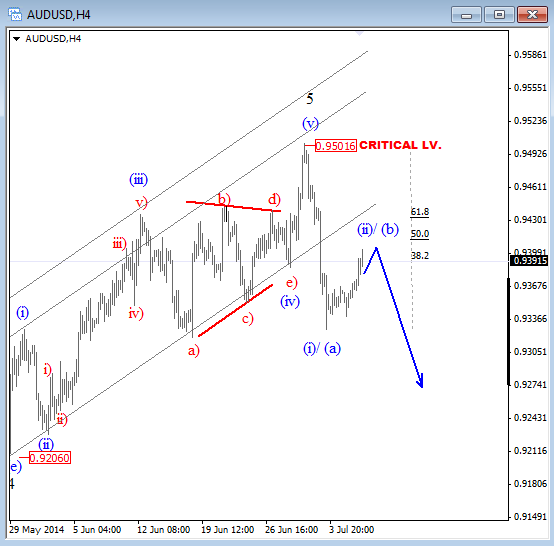 AUDUSD has turned bearish last week from 0.9500. A decline is impulsive that also took out the trendline connected from 0.9206 which is important signfor a change in trend. With that said, we believe that pair accomplished a five wave rally up in wave 5 which means that market should be heading lower in the next few days, even if fall will be only corrective. With that said, a current recovery from 0.9325 is just a temporary bounce within downtrend that may find resistance somewhere between 38.2 and 61.8% retracement level. With that said, be aware of a downtrend resumption from around 0.9400-0.9440 zone. Markets are in consolidation phase after strong move on stocks and currencies on Wednesday and then also strong move up on metals yesterday. 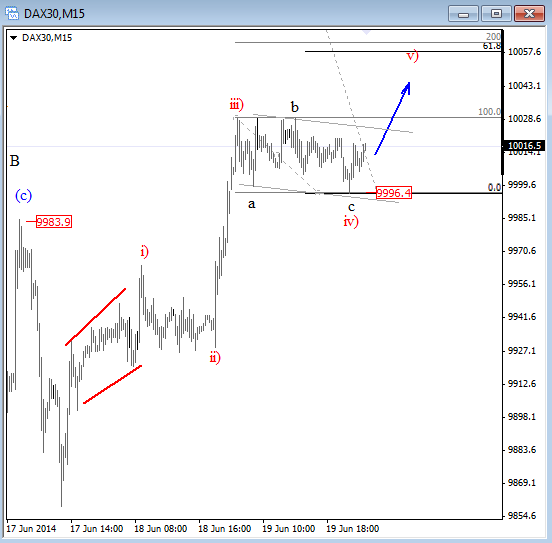 All markets are still positioned for risk-on moves, and looks like this will continue through the next few sessions as DAX and S&P are showing corrective price action. On chart of German DAX below I see prices in fourth wave so wave v) up is expected which may reach even levels around 10060. USDJPY has turned nicely down at the start of the year from 105.50. A decline can be counted in five waves in the shape of a leading diagonal, so we think that this is the first leg of a minimum three waves bearish structure. Therefore we expect a decline through 100.72 and extensions beneath the 100 psychological level, but just not yet. Notice that in mid-May the market bounced from the 100.80 level after only three legs down from above 104. A three wave structure is a correction so it seems that the decline was just part of a bigger and complex corrective wave (B) that can be a triangle if we consider latest three wave rise up in wave C that appears complete, so the current leg down is wave D). 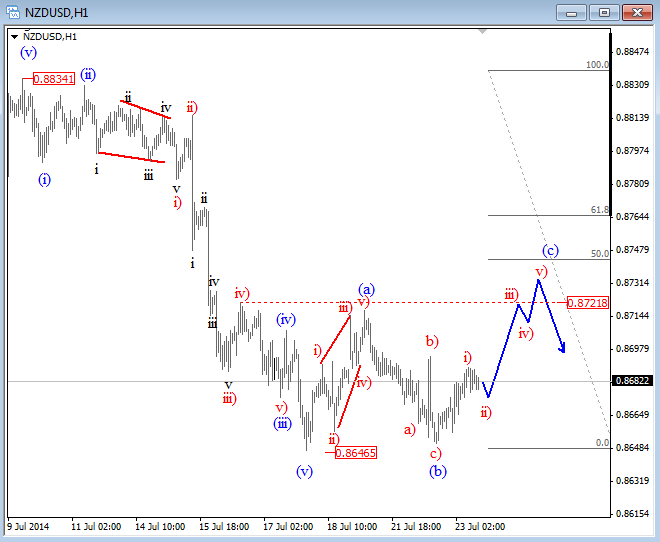 With that in mind, the wave pattern that we are tracking should send USDJPY down and through 100 level after wave E). 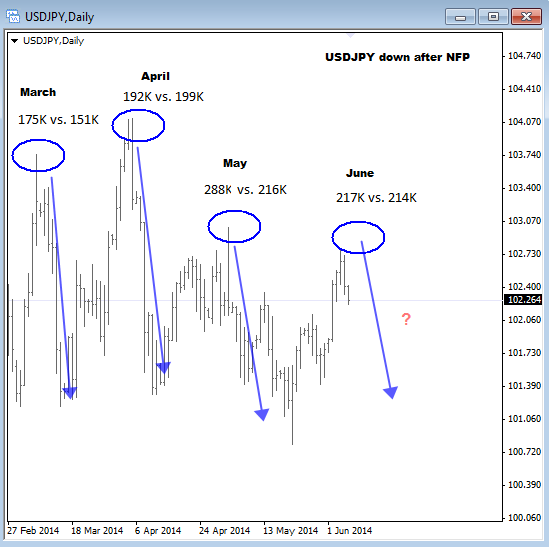 From time perspective USDJPY could break down during the summer, while 104 level should stay untouched. 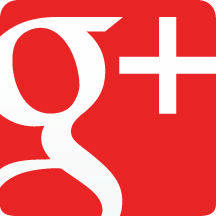 A Triangle is a common 5 wave pattern labeled A-B-C-D-E that moves counter-trend and is corrective in nature. Triangles move within two channel lines drawn from waves A to C, and from waves B to D. A A triangle is either contracting or expanding depending on whether the channel lines are converging or expanding. Triangles are overlapping five wave affairs that subdivide 3-3-3-3-3. In the past few months every time when NFP came out pair turned sharply to the bearish side in days ahead, at the start of each month, so I am wondering if we can see the same thing in June?! 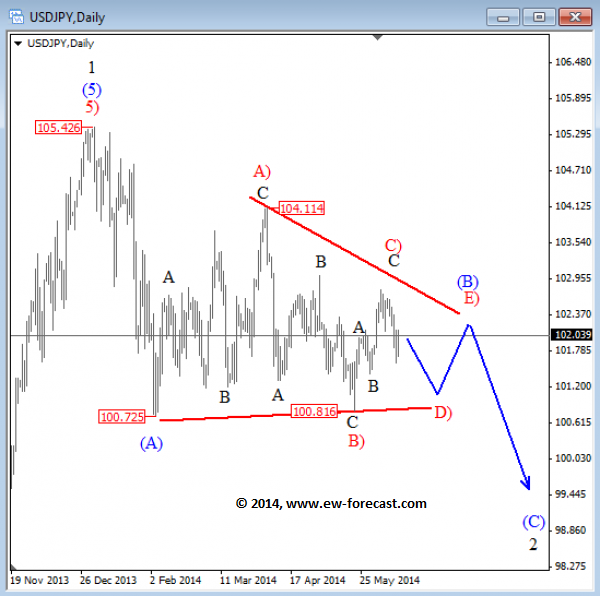 We have definitely seen a nice pullback on USDJPY so technically speaking pair could turn bearish soon. I see nice resistance at 103.00/103.40.